Pilotwings is back! A long overdue sequel to the amazing N64 game is finally here, and in awesome 3D. This game is set on Wuhu Island, made famous in Wii Fit and Wii Sports Resort, and is amazingly fun. Wuhu Island looks great, despite the graphics capabilities of the 3DS, and the 3D works fantastically well. Fly over the volcano and look down into it to see for yourself the depth and intensity of the 3D effect. 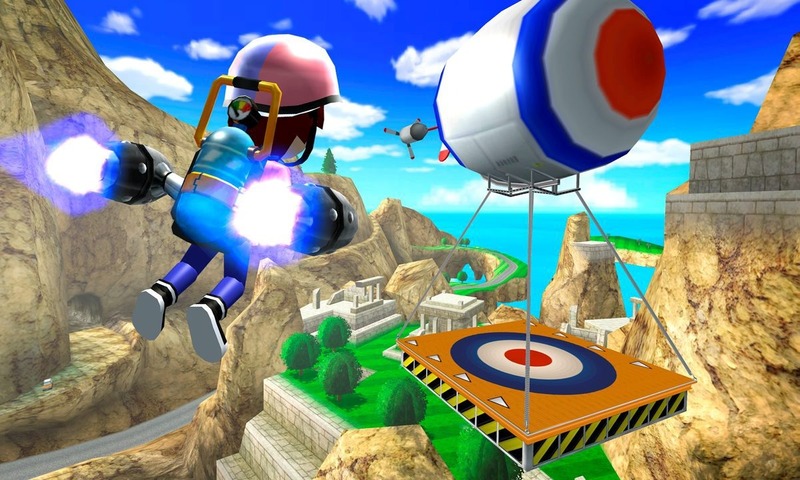 The game consists of many challenges, in which you pilot one of three vehicles: the plane, the hang glider and the rocket belt (basically a jetpack). There are over 40 missions, and you must complete certain tasks to complete the level and get a star rating. Your stars will increase if you accomplish certain conditions, and it can become quite addictive, and often infuriating, trying to get the perfect score. The main problem with the game is that it can get repetitive. The plane missions especially, as many of them see you simply following a route and passing through rings. There are the odd missions which are completely different, and these moments are awesome. It's just a shame it doesn't happen so often. The most fun you can have with the game is free flight mode. 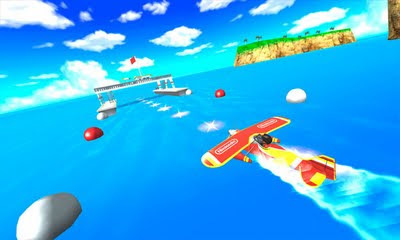 Almost an exact copy of the flight game in Wii Sports Resort, you must collect items, pop balloons, find all the locations and generally have fun. The island is yours for a couple of minutes to start with, but you can increase it to five minutes if you have the patience and motivation. Free flight mode can easily take up hours of your time, and it doesn't get boring. Whether you are hunting for locations and balloons, pulling off some crazy stunts or just enjoying the scenery, you will have fun. Pilotwings Resort is one of the best games on the system so far. It has the Nintendo charm that nobody else can recreate, it has great visuals, simple but incredible gameplay and amazing attention to detail. If you have a 3DS, you need this game.